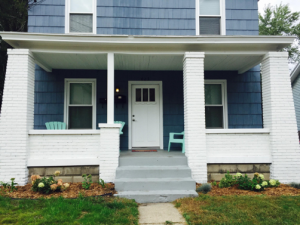 3:11 Youth Housing is a non-profit organization in Grand Rapids serving young adults ages 18-24 with housing needs and a program to help them reach the goal of living independently! The 3:11 alumni are encouraged to mentor new young adults going through the program. Their goals are to create a community of support for young adults, offering them a safe place to live and opportunities for stable employment. 3:11 has housed 28 youths since 2012 and house 19 youths at a time. The program lasts 2 years and youth learn life skills as well as goal setting and help obtaining driver’s licenses and overcoming transportation barriers. Alumni from the program keep the stable jobs they have obtained during the 2 years with 3:11, live and support themselves on their own, and even reunite with family members! Thanks to the residual support of our clients, we were able to give $500 to this ministry. Check them out at www.3-11.org. Donations given to 3:11 are used for mortgages, maintenance, upkeep, and other needs.